Brand New! 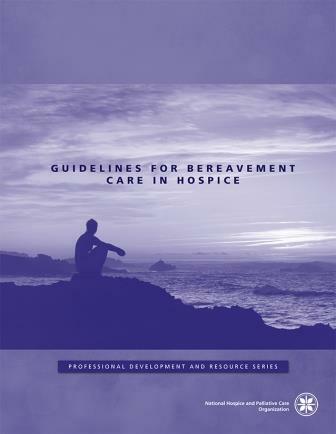 These guidelines serve to promote the provision of effective bereavement services and advance the practice of quality hospice and community bereavement care. The guidelines cover essential components of a hospice bereavement program providing information on how foster a program that goes beyond the baseline services required by state and federal regulations. Topics covered include Assessment, Community Bereavement Services, Complicated Grief, Documentation, Plan of Care, Policies, Quality Assessment/Performance Improvement, Scope of Services, Self-Care, Supervision, and Volunteers. The guidelines also include an extensive annotated bibliography and resource listing.